Our impressive collection of small plates have been hand crafted by Chef’s Bill Bentz of Wilmington (photo below) and Saranac Lake native William Darrah. Bill, our executive chef, has roughly 30 years of culinary experience which includes traveling throughout the US to help host Super Bowl 49, 2015 Pro Bowl and 2014 Rose Bowl to name a few. His local experience include opening of the Lake Placid Conference Center, a chef at The Point Resort, as well as owner of Samson’s Bar and Grill. 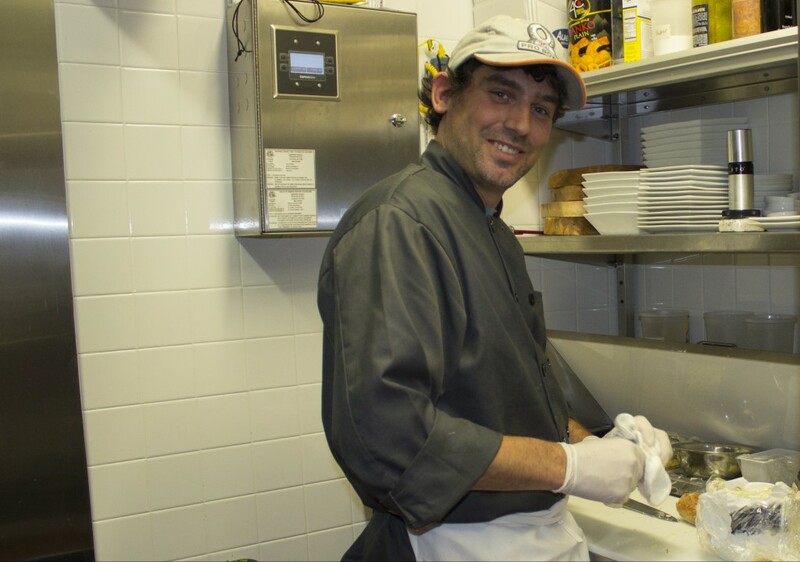 William, our executive sous chef, has been in the industry since 1999. He was the Head Chef at Brown’s Market Bistro in Vermont and the opening Chef at Bitter’s and Bones in Saranac Lake, New York. These Chefs have taken Top of the Park’s food menu “over the top” with a creatively composed menu of small plates that is sure to please even the most advanced palette. With a plethora of options to choose, it’s a lineup with something for everyone. We take pride in not only using the best beer, wine, and spirits; but also in serving each drink the way it was intended. Our bar staff have the training and experience to make every drink count. Each drink is carefully measured, poured, strained, stirred, or shaken according to the recipe, to ensure your first sip is just as good as your last. Our staff is well versed in all the great Wines, Bourbons, Scotch, Beer, and Cocktails we offer and eager to help you make the right choice. Don’t be afraid to ask!